A strong end of the season for Mercedes-AMG Motorsport at the Nürburgring-Nordschleife: Mercedes-AMG Team HTP Motorsport #47 with the drivers trio of Patrick Assenheimer, Maximilian Götz (both GER) and Raffaele Marciello (ITA) secured second place overall in the season finale of the VLN Langstreckenmeisterschaft at the Nürburgring. Hubert Haupt, Luca Stolz (both GER) and Yelmer Buurman (NED) finished in third place with the #6 BLACK FALCON Mercedes-AMG GT3 and thus completed the double podium result for Mercedes-AMG Motorsport in the 43rd DMV Münsterlandpokal. Right in time for the start of the final round of the VLN Langstreckenmeisterschaft, the Eifel showed itself from its best angle. After qualifying and as a result the race start had to be postponed for an hour due to fog, the total of 155 competitors, including a pair of Mercedes-AMG GT3, were able to take on the four-hour race in perfect outside conditions. The Mercedes-AMG Team HTP Motorsport #47 had secured a very good starting grid position for the race with third place in qualifying. Starting driver Maximilian Götz held on to third place at the start and established himself in the frontrunning group. With ten laps completed including a tactical early pit stop, the #47 Mercedes-AMG GT3 was able to take the lead with Luca Stolz in the #6 BLACK FALCON Mercedes-AMG GT3 following closely after having started from sixth place on the grid. Patrick Assenheimer took over from Maximilian Götz and staged a thrilling, but fair duel at the front with Hubert Haupt in the #6 BLACK FALCON Mercedes-AMG GT3. 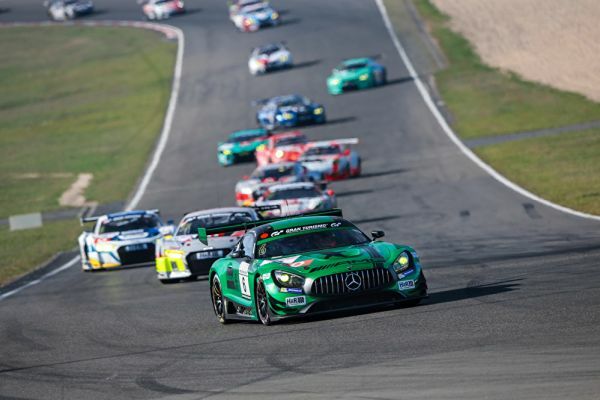 Several code 60 phases in the second half of the race caused the #47 Mercedes-AMG GT3 and the #6 Mercedes-AMG GT3 to lose some time and they dropped back to second and third place respectively. 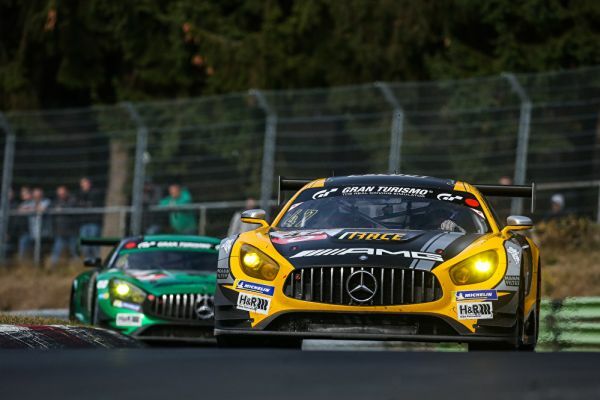 With fast lap times, final driver Raffaele Marciello put the leader under pressure in the Mercedes-AMG Team HTP Motorsport car with starting number 47, but wasn’t able to close the gap to the leader entirely. After 28 laps of racing, he crossed the finish line in second place and secured the first podium success of the season for Mercedes-AMG Team HTP Motorsport. Yelmer Buurman finished third in the #6 BLACK FALCON car. For the Mercedes-AMG Customer Racing Team, it was already the third overall podium finish after the overall win in the season highlight, the VLN 6-hour race, and victory in the fifth VLN round. 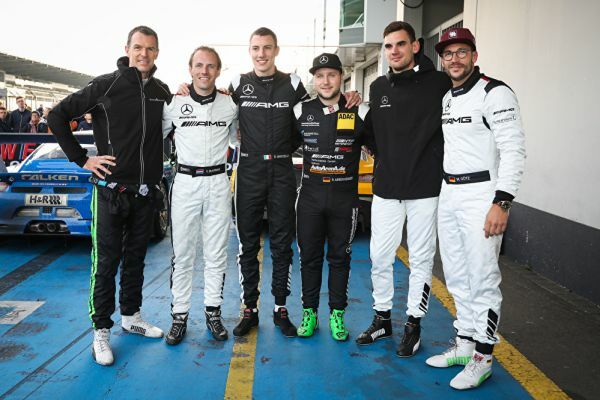 Mercedes-AMG Team BLACK FALCON had secured second place in the second round of the season. With its double podium finish, Mercedes-AMG Motorsport celebrated a successful end of the season in the VLN Langstreckenmeisterschaft. In the nine VLN rounds, the Mercedes-AMG GT3 scored a total of four overall race wins and three further podium results, a strong record. After the ninth and final round of the VLN Langstreckenmeisterschaft, the series bows out into the winter break. Action in the Eifel resumes on 23 March, 2019 with the first round of the new season, the 65thADAC Westfalenfahrt.